When you are travelling with your family you are a group with different age groups and thus with different interests and requirements. We have planned this 16 days Rajasthan tour package to meet the requirements and fulfill the different interests of your family members. 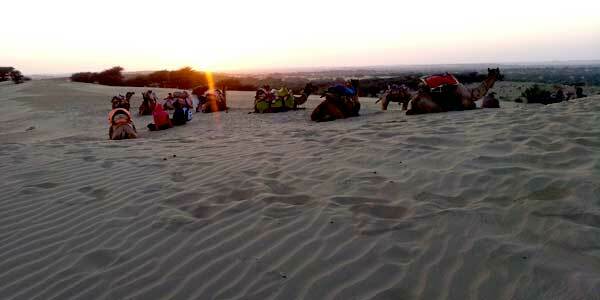 During your travel to Rajasthan you will have option of various recreation and adventure activities. 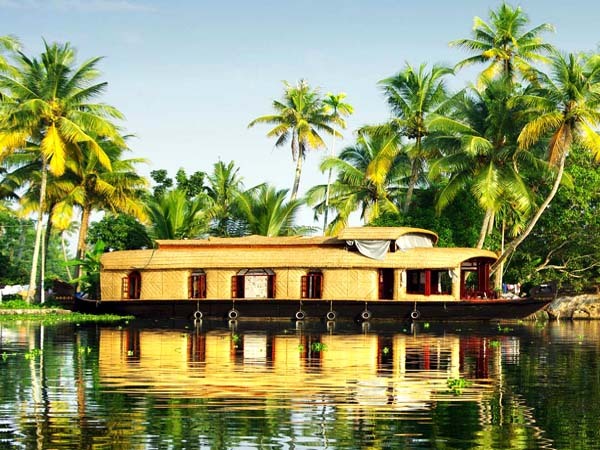 This travel itinerary itinerary is one of the best to plan your long holidays with your children and family members. 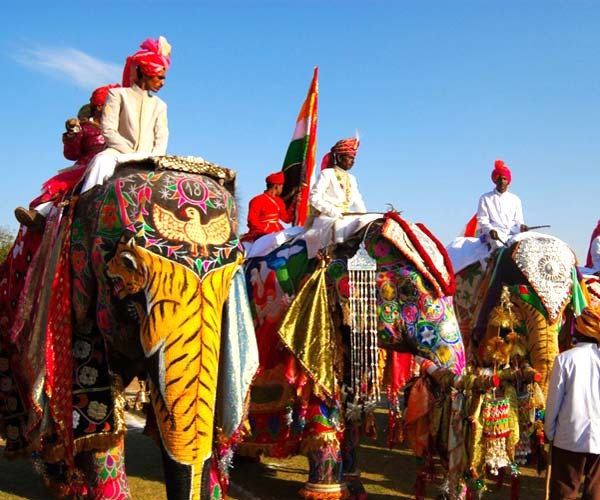 Contact us now for best price or to modify this 16 days Family Holiday Rajasthan tour package. The Capital of India, New Delhi is one of the major metropolitan cities of India located on the banks of the sacred river Yamuna with the population of more than 14 million people. This city has a long history of 5,000 years which has full of monuments with rich historical heritages. With its Muslim mosque, maze of medieval streets, imperial or with the Red Fort with its modern industries large arteries, it is now diverse city. Arrive Delhi late in the night or early morning . On arrival, meeting, reception and assistance. Transfer to your hotel . Evening free for leisure and walk in the markets of New Delhi. Overnight at your hotel in Delhi . Morning, after refreshing breakfast at the Hotel, our local guide will take you on a sightseeing tour of Delhi city. 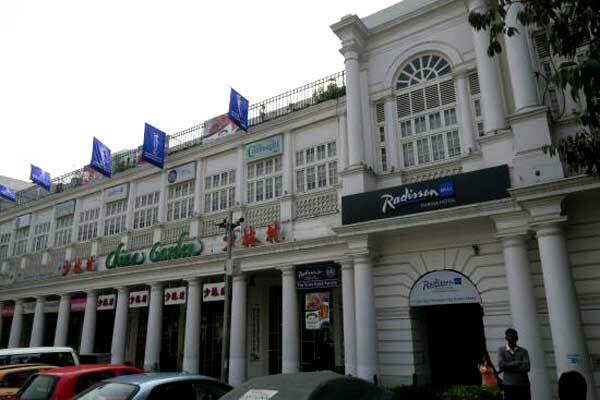 Visit the most popular tourist attraction of this city. You will take to Raj Ghat -the cremation site of Mahatma Gandhi- , Shantivan- the incineration site Jawaharlal Nehru, and walking drive through the Red Fort ( Red Fort ) and Chandni Chowk. After lunch , visit the Qutub Minar - the highest minaret in India built by Qutub -ud- Din Aibek in 1199 , Laxmi Narayan Temple ( a modern Hindu temple) , India Gate (Gate of India) . Then, after the car ride past the President's House ( President's House ), the Parliament House (House of Parliament), the Government Secretariat Buildings ( Buildings , Government Secretariat ) and after visiting this all places, you will be drop at the shopping center Cannaught Place. Overnight in Delhi. 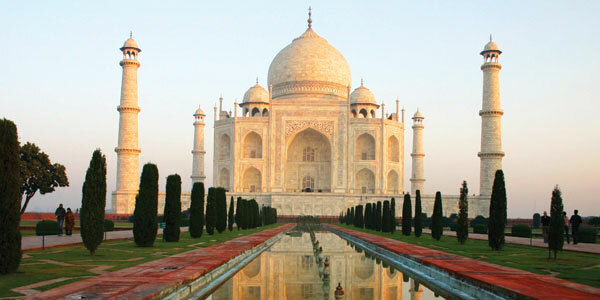 After breakfast, you will start your journey from Delhi to visit the most famous tourist attraction of India i.e. Agra. 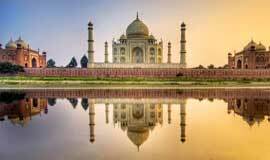 Agra with its unbelievable history from the past decades of Mughal Emperor. Agra, the most famous destination of India is recognised for its Seven Modern Wonders of the World - Taj mahal On arrival you will be greeted by our representative who will help you to check-in with the hotel . Later in the afternoon after lunch, walk in the city of Agra for the half- day visiting the Agra Fort ( Red Fort of Agra ) , the Pearl Mosque ( Pearl Mosque ), the buildings are made of red sandstone, the Halls audience of Private and Public ( audience ) , etc. Later visit the Tomb of Itmad -ud- Daullah built by Empress Noor jehan in memory of his father. 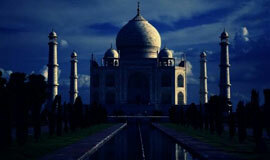 Stay night in Agra. Early morning, you will visit one of the seven wonders of the world - Taj Mahal, built by the Mughal emperor Shah Jahan, in the memory of his wife Mumtaz Mahal. Later then drive to Bharatpur. In the afternoon you will visit the fort of Bharatpur. Overnight in Bharatpur. In the morning, safari in Bharatpur National Park (Ghana / Keoladeo bird sanctuary) known for variety of migratory and residential birds. After lunch drive to Ranthambore. 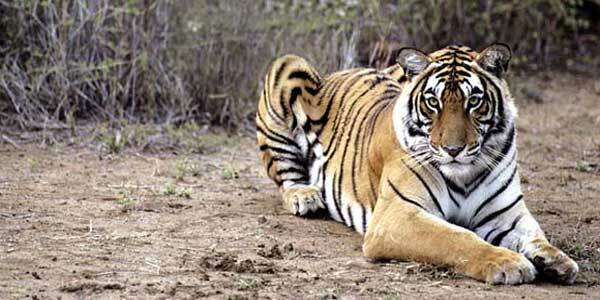 On arrival at Ranathambore, registration and night stay at the hotel in Ranthambore. 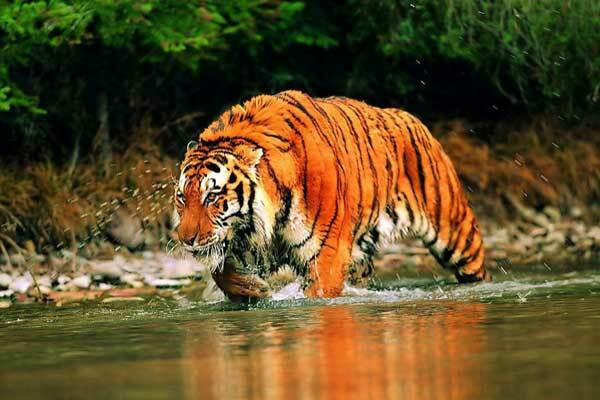 Today, morning begin your trip driving towards the safari in the nature reserve known for its Indian tigers and other species such as antelope, wild boar etc. Depending on your budget you can choose between private safari jeep safari mini van common. You can also make two safaris, one in the morning and other in the evening. Evening at the hotel. Ranathambore night. In the morning drive to Bundi. 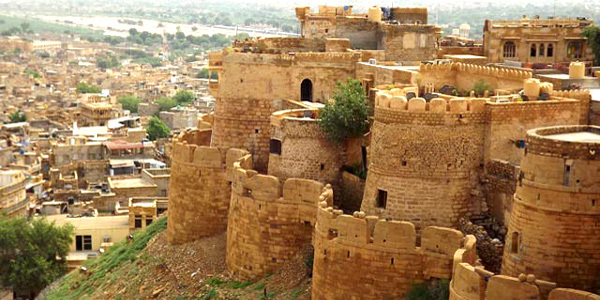 The traditional town of Bundi is located in the Hadoti region of Rajasthan. Bundi is known for its magnificent fort and art. In the evening you will stroll through the narrow streets of the city. Overnight in Bundi. Start your day, travelling towards the city of lakes- Udaipur. On the way to Udaipur, you will visit the citadel of Chittaurgarh. It is recognized as the largest in India. This, perched high on a hill overlooking the city, contains numerous palaces and temples. Arrive Udaipur and check into your hotel. Overnight at Udaipur. In the morning after refreshing breakfast, begin your journey to discover cultural heritage of Udaipur city. The place has a number of historical monuments, palaces and forts which will mesmerise you by its charm. 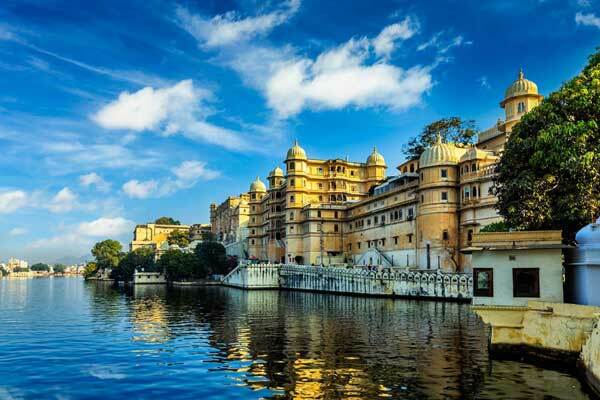 Our Guide will accompanying you, visit the City Palace (the largest palace complex of Rajasthan beautifully overlooking Lake Pichola), Jagdish temple (historic temple dedicated to the god Vishnu), Sahelion ki Baadi (garden fountains, garden or girls). In the evening boat ride on Lake Pichola. Later, return back to the hotel and stay overnight. Today continue your trip to next destination, Kumbhalgarh. Built on top of a hill at 1100 meters above sea level, the fort is surrounded by a wall 36 kilometers long, the third longest in the world. The walls have a thickness of 4.50 meters and are drilled seven fortified gates. The view from the fort over several tens of kilometers on the chain of Aravalli Range. You will visit the fort of Kumbhalgarh. Night in Kumbhalgarh. In the morning visit the forest (Trekking) with a guide. You will visit Ranakpur, Rajasthan small town located in the chain of Aravalli Range. The site owes its fame to a huge temple of Jain religion. It is supposed to count all 1444 carved pillars with a different ornamentation. The set is built in white marble which every inch is etched, carved, ornate. You can visit the neighboring villages and witness scenes of rural life like raising camels, sheep, etc. After breakfast, drive to Jodhpur and check into your hotel. Afternoon visit Mandore and gardens, keeping the royal cenotaphs website and housing a Jain temple. Walk in the traditional markets of Jodhpur. Overnight at Jodhpur. Early morning after breakfast, take a jeep safari and visit the countryside around Luni. 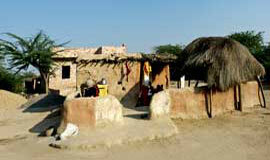 Later on you can visit the traditional village of the Bishnoi community. This community is known for their special care for the nature and animals. They still live a traditional life without much use of technology in their daily works. Visit the Mehrangarh fort, Jaswant thada and Umaid Bhawan palace. Flying Fox at Mehrangarh can give you bird's eye view of the Blue City / Sun city Jodhpur . 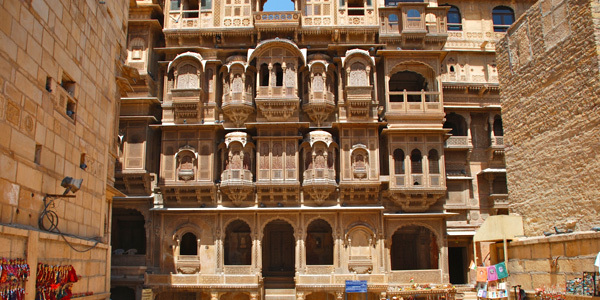 In the evening you can visit the traditional Bazaars of Jodhpur. In the morning, after breakfast drive to Jaipur. 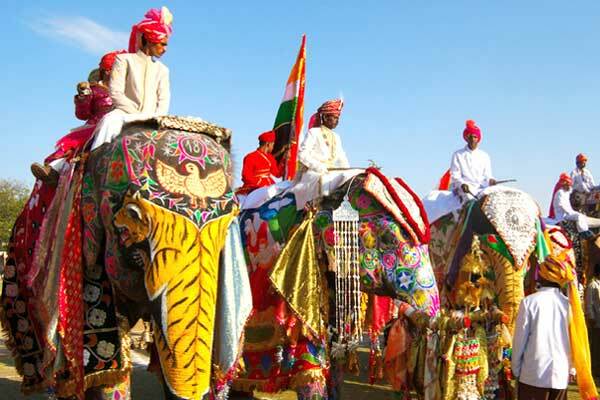 On the road you can visit the city of Pushkar - The Holy City. Pushkar is a holy city of Hinduism. About 400 temples and shrines stand around the sacred lake. 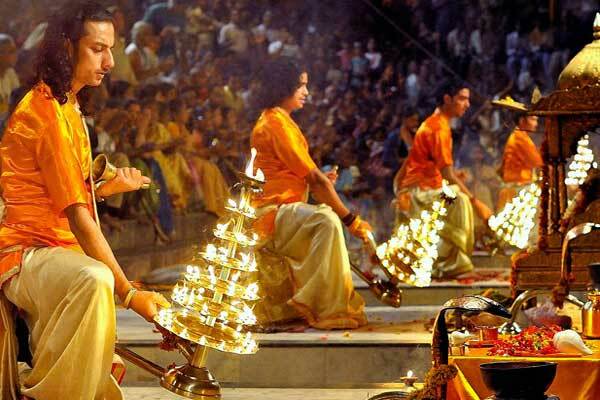 You will walk in this quiet town and visit the only temple in India dedicated to the god Brahma. 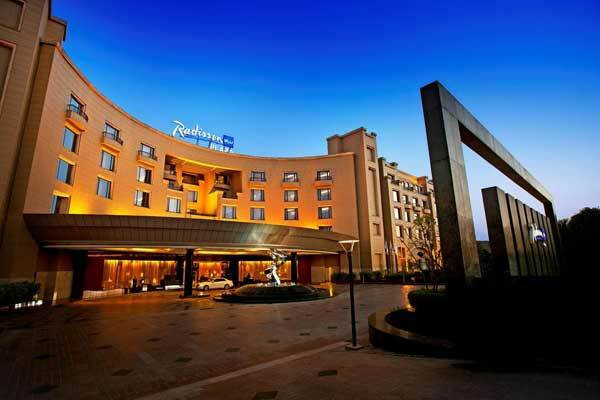 Arrive Jaipur and check into your hotel. Overnight in Jaipur. 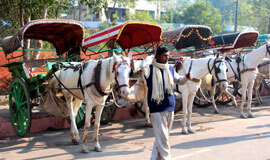 Have your breakfast then your local guide will take on a tour of Jaipur City. Jaipur is known as the Pink City: was the capital of Rajasthan decorated with a pink coat color a century ago in honor of a visiting Prince performing and has since retained that color. Visit the Amber Fort (Fort D'amber), former capital of Rajasthan before the modern city of Jaipur is founded by Maharaja Jai Singh there about 260 years. Visit the Sheesh Mahal or the Hall of Victory glittering with mirrors. Visit the City Palace (City Palace) of the Maharaja, the Jantar Mantar (Observatory) and Ram Niwas Gardens. Have a Car ride past from the Hawa Mahal and the pink dot the streets drawn with symmetry local markets. Overnight in Jaipur. Morning, leave Jaipur and drive to New Delhi. Transfer to the international airport in New Delhi your return flight. Your family vacation trip in the land of cultural heritage of Rajasthan ends here. Take a jeep safari to visit the villages of the Bishnoi community near Jodhpur. 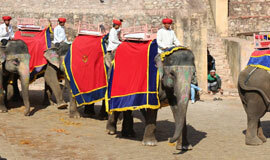 Ride on elephant back to climb to the main entrance of Amber fort at Jaipur. 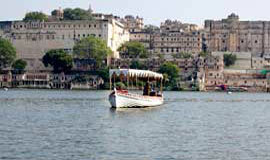 Boat cruise in the lake Pichola to visit the island and ancient city of Udaipur surrounding the lake.